This time of year, it seems like everyone is fighting off an infection of some kind: a cold, the flu, stomach bug, bronchitis, sinus infection, etc. With so many different bugs going around, it can be confusing to know what your symptoms mean, and what steps you should take to treat those symptoms. You may be thinking “Is this a viral infection? Bacterial infection? Do I need a prescription medication? Should I go see my doctor or will this go away on its own?” If you are not sure, it is always best to have an examination by a professional to help answer your questions. Here are some tips to help guide you in deciding when to schedule a visit with your provider. Duration: How long have you dealt with your symptoms? If you have tried to let your body fight off the infection on its own for several days but start to feel worse, or if you have tried supplements and over the counter medications without much improvement, then it is a good idea to come into the office. Once you have had symptoms for a week or more and with no improvement, go ahead and schedule an office visit as a preventative measure. Severity: If your symptoms are severe, whether it is cough or fever or any other symptoms, it is always best to have an exam sooner rather than later. Other risk factors: There is a lot to consider when you are fighting an infection. If your immune system is impaired in any way, it will make it more difficult for you to recover from an infection. In these cases, it is always better to error on the side of caution and be seen by a physician. Flu like symptoms: There is a short window in which an antiviral can help with influenza symptoms. If you are experiencing flu like symptoms (fever, chills, headache, body aches, cough congestion, sore throat, nausea or vomiting), or have symptoms after being exposed to someone with the flu, it is best to get tested as soon as possible. Tamiflu works to decrease symptoms and shorten duration if started within the first 48 hours of symptoms. If there is concern for influenza, we recommend getting tested regardless if you have or have not had the flu shot. If you are unsure about next steps for treating your symptoms, it is always best to come in for an office visit. Let us look and listen to you, and together decide the appropriate treatment. 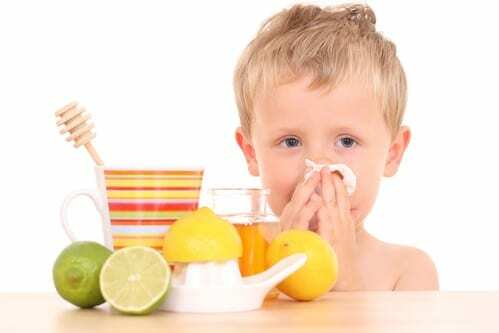 In the meantime wash your hands, cover you cough, and try to limit spreading the symptoms on to others. Hopefully you will not need to see us for an illness, but when you do, we are here to help!